DecoGlaze™ is ideally placed to help you with your residential project, whether it be a new Home, a Knockdown-Rebuild, or just a timely Renovation. With an extensive range of exciting products, including a wide range of coloured Glass Splashbacks for your kitchen, laundry or bathroom, it’s so easy to transform yesterday’s look into the look of the future. To save you time, effort and money, all of our products are measured, manufactured and installed by our qualified tradespeople. Create much-needed atmosphere and ambiance by adding a stylish design element to your kitchen, laundry or bathroom. 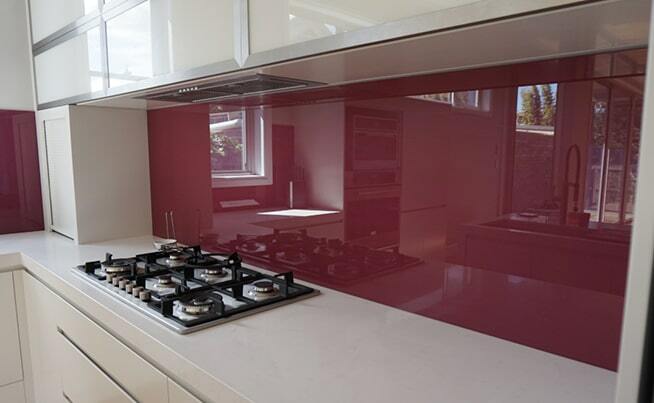 With our custom-made coloured Glass Splashbacks, toughened mirrors, and printed Impressions range, your kitchen and bathroom areas can be instantly and luxuriously transformed. The only limitation is your imagination – visit our Colour Palette page to view some of the many colour schemes available. If you would like to view samples of coloured Glass Splashbacks in kitchen, bathroom and laundry settings, visit our DecoGlaze™ showroom in Sydney’s Seven Hills. We are open Monday through Friday from 8am – 4.30pm and 10 – 2 each Saturday, except for long weekends. Our sales consultants are on hand and happy to assist you with your colour choices and ideas. 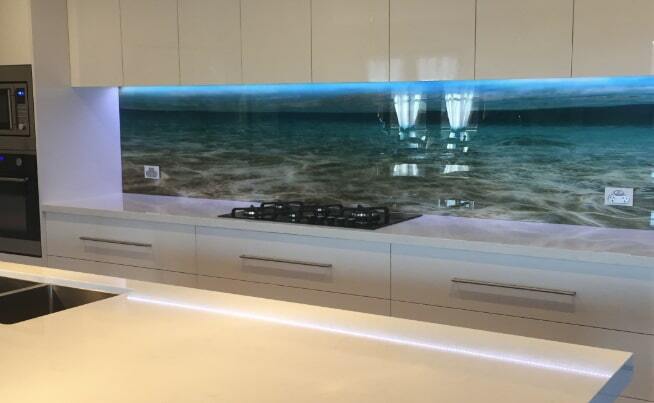 With our fully qualified installers and state-of-the-art production facilities, your quality Glass Splashbacks, door panels and mirrors can be installed quickly and with minimal effort by you.